The demand for innovative holiday drinks is keeping bartenders and baristas busy crafting beverages with unique ingredients, seasonal twists and eye-catching presentations. According to Technomic’s Beverage Consumer Trend Report, one-third of consumers—and 40% of those ages 18 to 34—say their beverage preferences change depending on the time of year. Plus, 29% of consumers say they would pay at least slightly more for seasonal beverages. Various chain and independent concepts debuted cocktails, mocktails, shakes and hot beverages that jump on the trend, competing for customers’ attention—and dollars—in the weeks ahead. 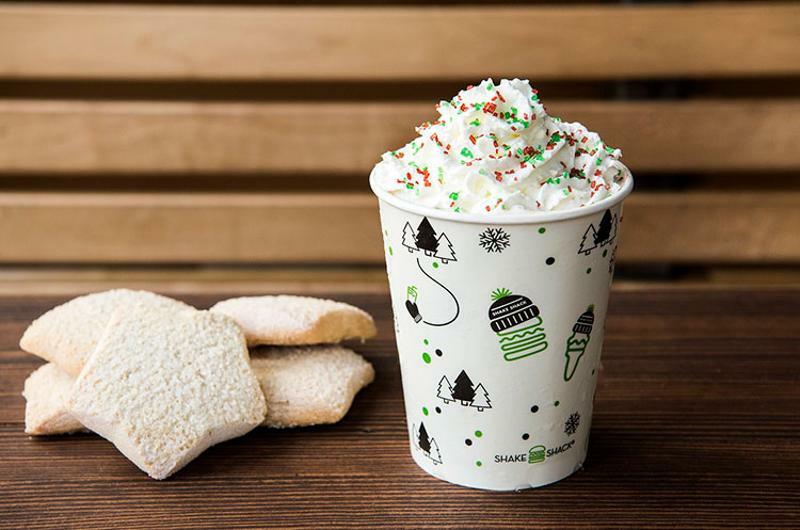 While the social media buzz about Starbucks’ controversial green and red holiday cups grew louder, Shake Shack more quietly introduced its 2016 holiday shakes, running through Jan. 1. The trio of LTOs includes a pumpkin pie shake, Christmas cookie shake and chocolate peppermint shake, all blended with frozen custard and topped with whipped cream ($5.75 each). Also on the menu this winter is brownie batter hot chocolate ($3.89). 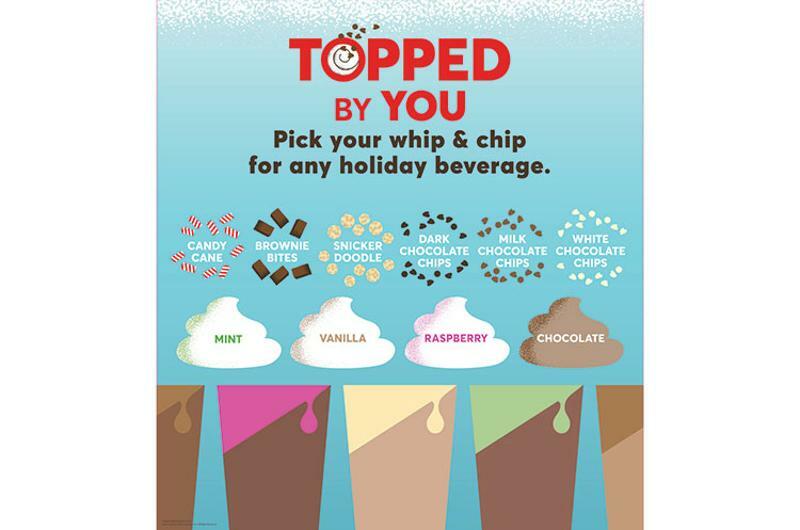 The coffee chain added a variety of new toppings and whips to customize its hot drinks for the holidays. Caribou claims customers will be able create 500-plus holiday beverages, and is challenging guests to invent their own combinations and post photos on social media using #TopBou. Add-in ingredients for lattes and mochas include brownie bites, chocolate chips, candy cane pieces and whips in mint, vanilla, raspberry and chocolate flavors. Until the new year, Caribou is running its Topped By You Tuesdays promotion where consumers can receive $1 off a large holiday beverage. 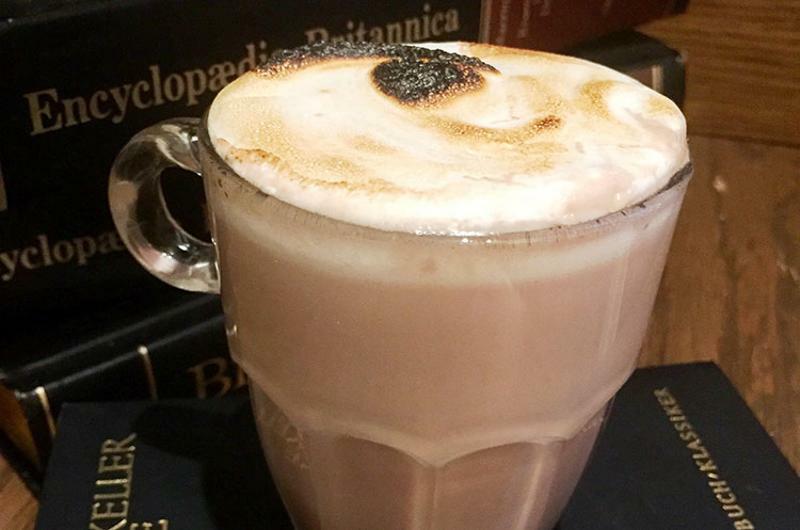 In the Boston area, this group of indie restaurants is tempting cold and weary customers with fancy hot chocolate in classic, Mexican, salted caramel mocha and white chocolate peppermint variations. Those of legal drinking age can ask for theirs spiked with a spirit of their choice. Also bridging the gap between comforting indulgence and a mixologist-inspired cocktail is the Milky Way at upscale The Florentine in the JW Marriott Chicago. 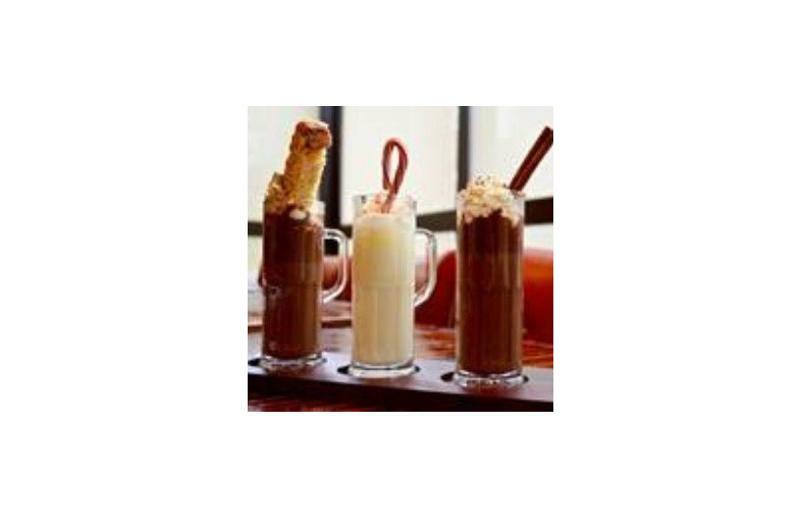 The blend of rum; an Italian liqueur distilled from hazelnuts, pistachios and almonds; and warm Nutella milk is topped with housemade toasted marshmallows and served in a glass mug. While this Chicago bar on the top floor of a Northwestern Hospital medical building is a destination for craft cocktails, the bartenders pay as much attention to its mocktails. 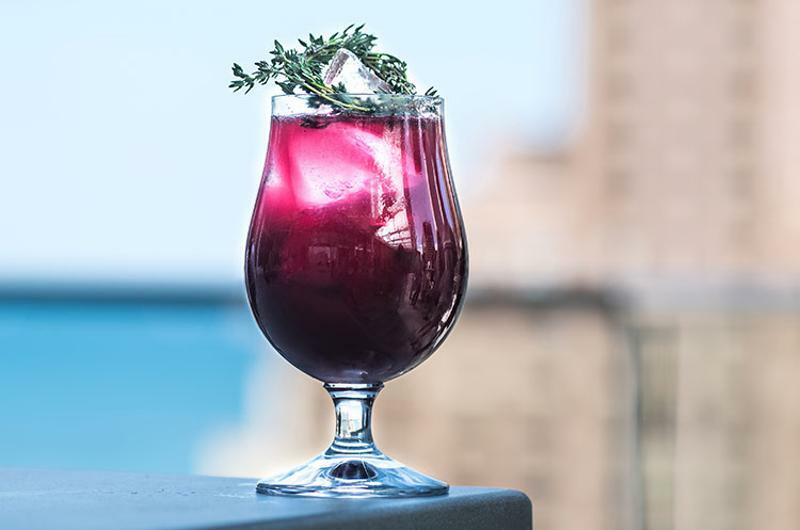 The nonalcoholic Left Hand Wonder ($10) has a healthy aura, made with agave nectar, beets, ginger, grapefruit and lime, and garnished with a fresh rosemary wreath in the spirit of the season. 24-unit Hickory Tavern, a casual-dining concept based in Charlotte, N.C., broadened its extensive cocktail list with a number of selections made with seasonal ingredients. The sparkling red Tavern Holiday Punch combines cranberry juice, rum, lemon-lime soda and raspberry liqueur, while the Winter Margarita, a tequila drink also blended with cranberry juice and lemon-lime soda, adds fresh mint to the mix. The Kentucky Bourbon & Cider has cinnamon and apple notes reminiscent of holiday baking. All are priced between $7 and $8. 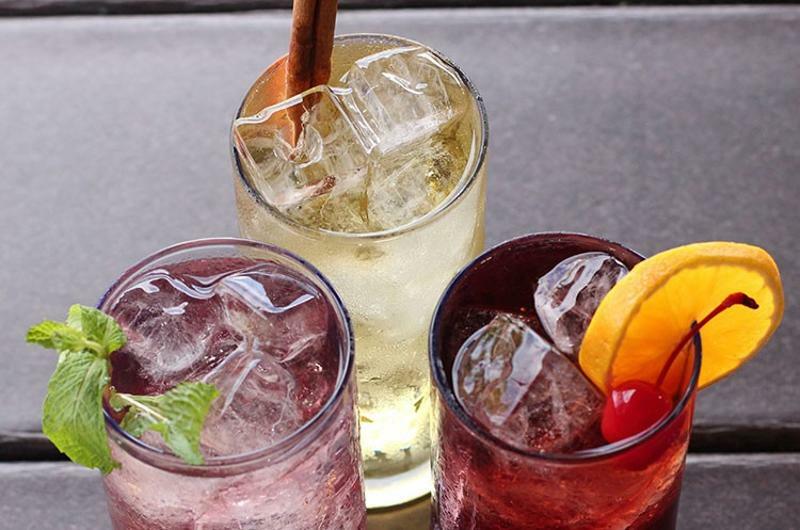 Sangria is the signature drink at Spanish restaurant Salero, but for winter, the Chicago spot also is featuring a cocktail called Road Trip Through Nevada. 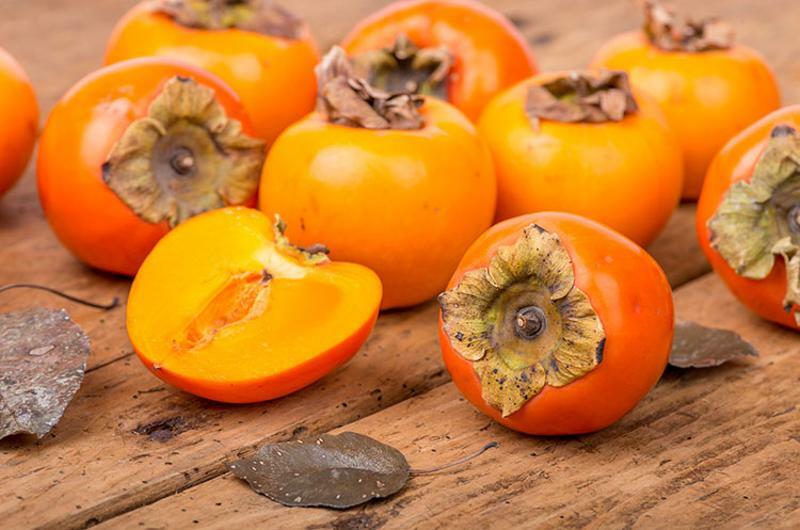 The drink, based on a Manhattan, was developed with bourbon, amaro and orange to include both sweet citrus and bitter notes, with seasonal persimmons rounding out the flavors.